Once again, David Stanwood’s matchmaking finds a vintage piano a home. David Stanwood’s studio is located in a gabled, hip-roofed barn on a dirt road behind his house in West Tisbury. 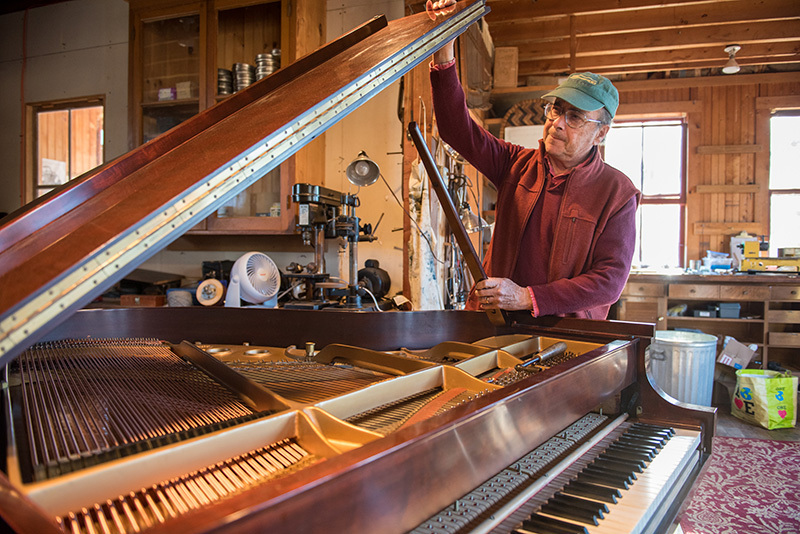 Inside the barn is a clutter of piano parts, screws, and assorted doodads Stanwood uses to tune and rebuild pianos. And when I visited him just before Christmas, in the corner sat a 1950 Steinway Model S baby grand he’d been working on to bring up to performance quality. This particular Steinway was destined to be a gift for the Oak Bluffs library, but Stanwood has had a hand in bringing classic pianos to a great many other venues on the Island as well. You could think of him as the Johnny Appleseed of vintage pianos. When Tom Dooley of Sengekontacket died last spring, Stanwood got a call from his widow, Helen Dooley. It was Tom’s wish to bequeath his 1955 Steinway Model S to the Oak Bluffs library, and she wanted Stanwood to come out and take a look at it. “It was a beautiful Steinway,” Stanwood said, “but when I sat down to play it, it was way off-pitch.” Stanwood told Dooley that you can’t very well make the gift of a piano if it can’t hold a tune, so she said she’d take care of it; she wanted it to be in perfect condition. That would be part of her gift. Stanwood had to replace just about everything: strings, pin blocks, tuning pegs; when he was through, the sound was extraordinary. Stanwood was at Featherstone playing piano for an art reception when he realized this might be just the place for Lorna’s Steinway. He saw Ann Smith, director of Featherstone, and said, “How’d you like the gift of a 1918 Steinway, in perfect condition?” Needless to say, it was an offer she couldn’t refuse. The beautiful Steinway at the heart of the Community Room at the West Tisbury library is also a product of Stanwood’s piano matchmaking. “When I realized there was a need at the library,” Stanwood said, “I knew the orphan piano had found a home.” The West Tisbury Library Foundation raised funds for the piano, and today it is the centerpiece for the David and Rosalee McCullough Community Room at the library. 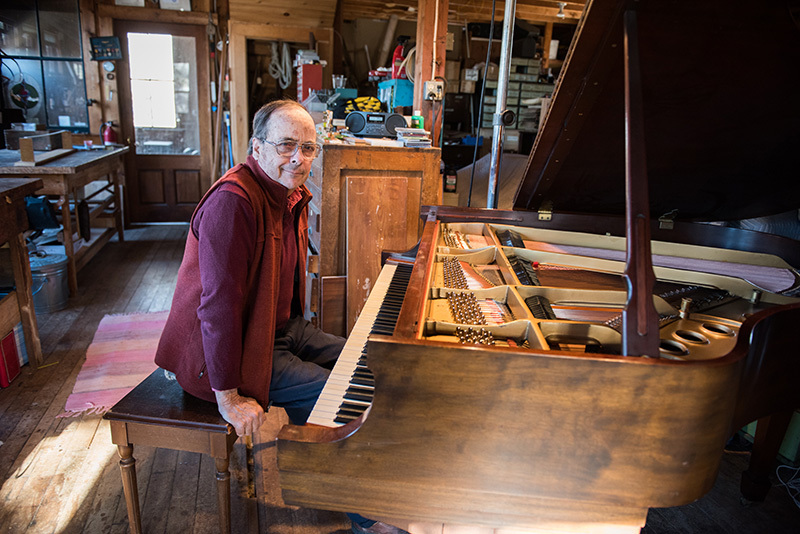 The Martha’s Vineyard Chamber Music Society has Stanwood to thank for its piano as well. Stanwood had a client in Woods Hole, Dr. Burwell, who was looking for a good home for his 1915 Mason Hamlin semi concert grand piano. Stanwood looked at it and realized it desperately needed restoring. 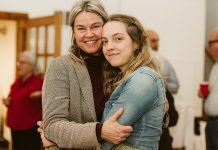 “I suggest you restore it,” Stanwood told Burwell, “and sell it for the cost of the restoration; it’ll be a good deal for someone.” That someone was Dolores Stevens, artistic director of the MVCMS, who saw it and loved it — once again Stanwood was the facilitator. 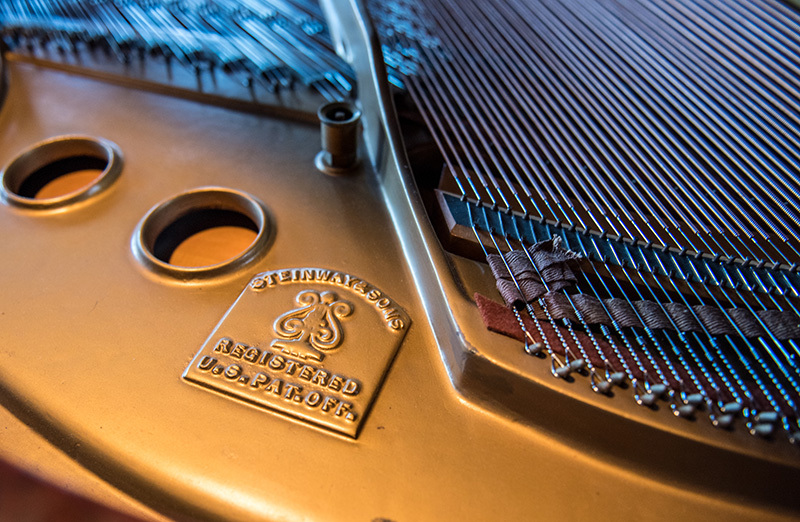 The beautiful 9-foot Steinway concert grand at the Performing Arts Center wouldn’t be there without Stanwood, either. It formerly belonged to the late Charles Blank, who had been the head of the Washington County Public Library System in Maryland, and after retiring gave music lessons at the Island senior centers as well as private lessons. 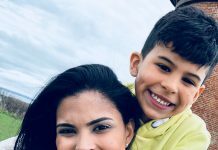 A few years ago, he called Stanwood and said he’d be interested in selling the piano so long as he could get another piano in return. Stanwood knew that the Performing Arts Center needed a concert grand, and thanks to a generous donation from Dan Alisio — who happened to be Stanwood’s neighbor — they could afford to buy one. And as part of the deal, Blank would get the old piano from the high school for his own use. 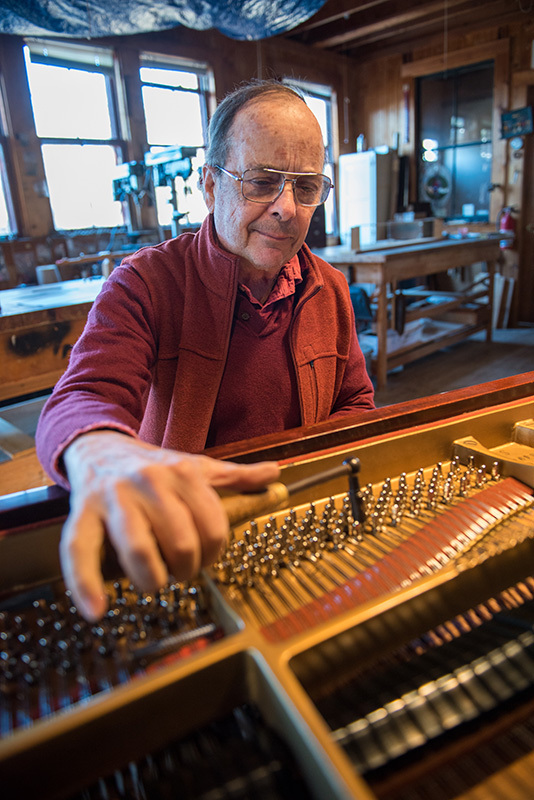 The piano needed restoration work, and in this case, Stanwood reached out to an old friend of his, Frimi Sagan, with whom he went to high school in Wellesley. Sagan underwrote the restoring of the piano with the condition that she could play the piano at the Chilmark Church when she came to visit in the summer. Three years later, just when Stanwood had nearly forgotten about the piano, he got a call from the school saying they’d somehow managed to raise the money to restore it, and so Stanwood went to work. And they sing from the same songbook! Thank you David for the gift of your craft and the gift of your heart!